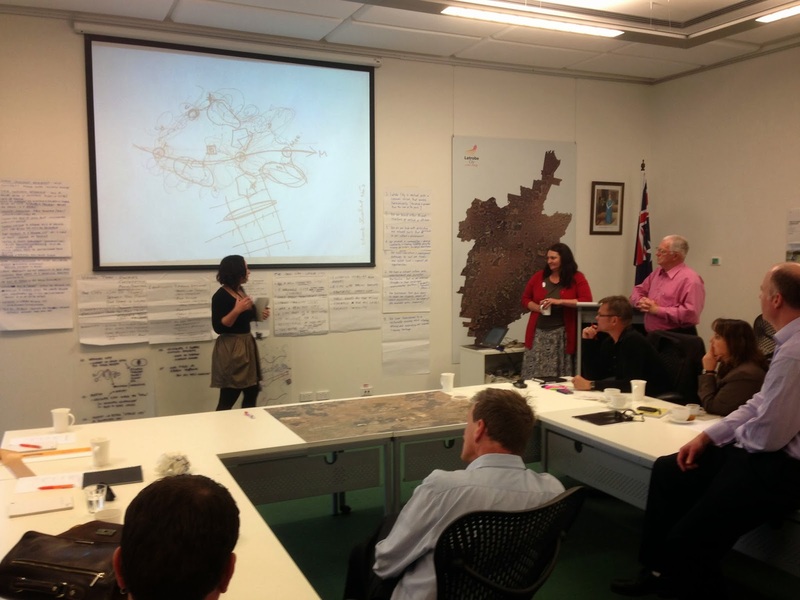 This workshop was led by OUTR (RMIT University) with the award winning Dutch designer Bart Brands from Karres en Brands. 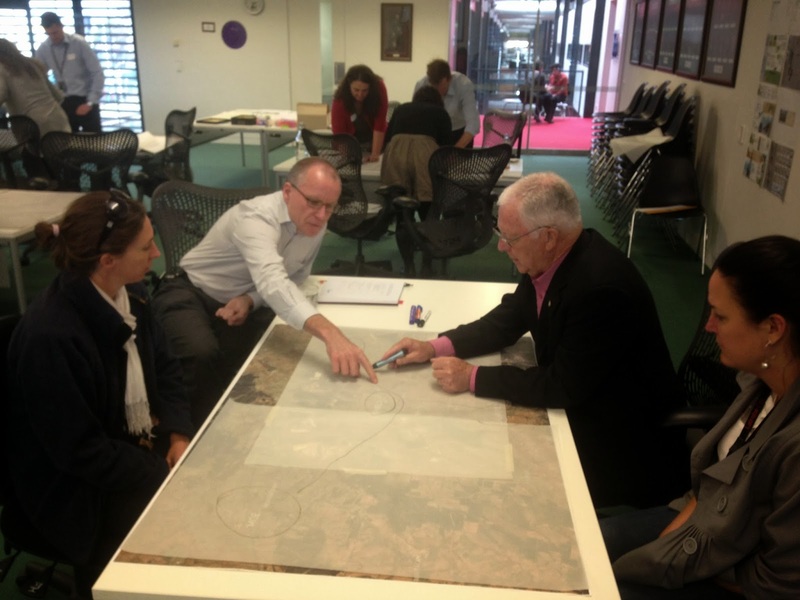 The intention was to respond to the Gippsland Regional growth plan in which Latrobe City is identified and projected as the 'Regional City for Gippsland'. 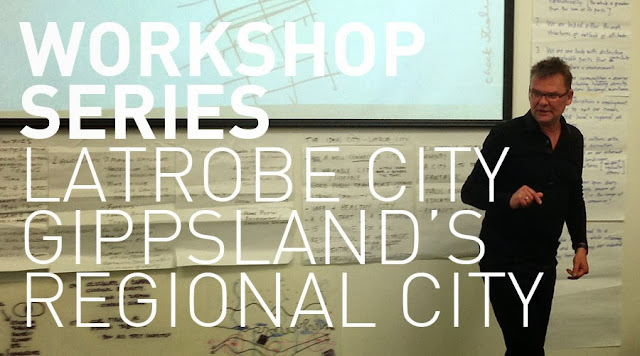 The ambition of the workshop was to imagine and develop key strategies for what an ideal Latrobe City might not only look like, but also how it might operate through unique relationships defined through social, economic, and ecological systems. 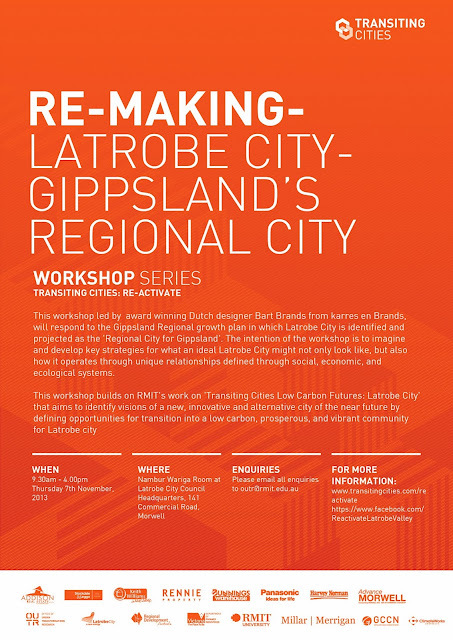 This workshop builds on RMIT's work on 'Transiting Cities Low Carbon Futures: Latrobe City' that aims to identify visions of a new, innovative and alternative city of the near future by defining opportunities for transition into a low carbon, prosperous, and vibrant community for Latrobe city. The diversity and depth of participant’s experience and knowledge produced a potent range of insightful aspirations and actions that embrace the qualities of region, and enable the creation of a rich vision for the future. Following the success of this workshop we hope to continue to invite experts from around the world to engage with a broad spectrum of the local community to actively shape a prosperous future for Latrobe. 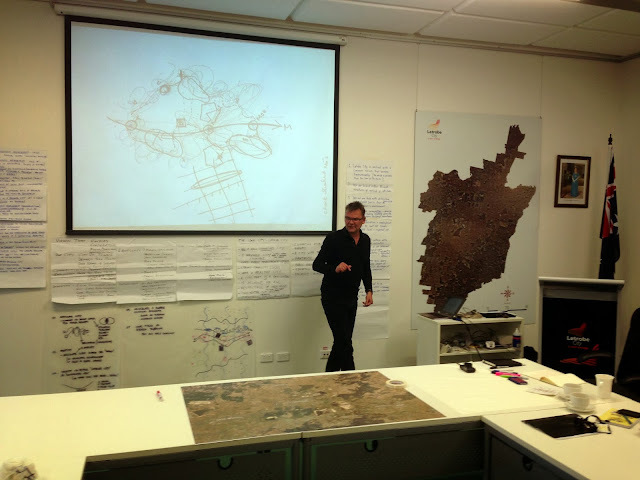 Bart Brands discusses some of the work generated in the workshop.